Let me start this off by saying that Gypsy Queen is one of my favorite baseball card sets of the year. I love the way it looks, and the HDR style images are always something that has been a collecting favorite for me. 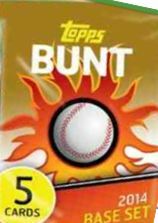 To see it come to bunt was awesome, so I had to buy a few packs. Opening a Gypsy Queen pack and getting a draft card was a bit unexpected, but definitely not a bad thing. The Draft cards have been relatively popular despite the award for collecting all of them being a bit lackluster. Although I didnt get the Gypsy Queen cards I wanted, I wasnt necessarily unhappy with my break. At 3500 coins per pack, the cards are significantly cheaper than than the normal base pack, and though you dont get any inserts other than draft and GQ, the odds arent horrible. I also ended up with a Hyun Jin Ryu Gold, which was nice, in addition to an Alexei Ramirez gold. One other came through that I cant really remember. This pack was great, because for the first time, Topps had offered a pack that was comprised almost entirely of Series 2. I bought a bundle of coins to open a bunch and I am glad I did. Not only did I get some nice stuff, but the golds were a nice bonus. Although no inserts were available, sometimes its not about that. This was the best pack of the month so far. Note to self, dont buy packs just to get rid of extra coins left over from other breaks. The league leader packs are heavily discounted to 1500 coins, so I thought it was worth a shot. It wasnt exactly a great bunch of packs I opened, and ended up with a bunch of reds, greens and 3 silvers. No pitchers, and that’s about it. I will definitely be opening more packs tomorrow with the VIP bonus, so stay tuned!